Originally released as a collection of web episodes, the DVD collects them together as one movie as part of the rich universe in the Halo video game franchise. 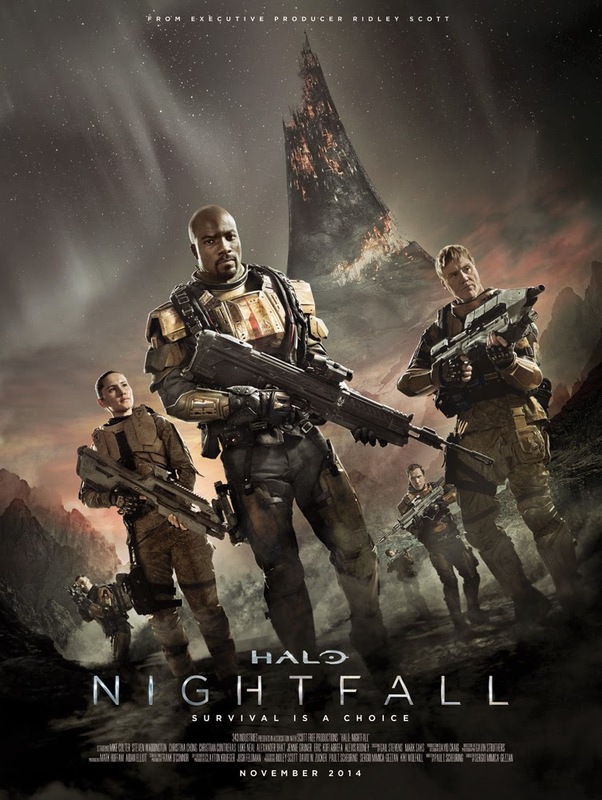 The movie follows a team of ONI (Office of Naval Intelligence) along with Sedran Colonial officers as they seeks to end the source of a potentially deadly virus that threatens humanity mined on the relic Halo Ring. If you're like me and don't play the game, don't worry, a little back story is sprinkled throughout the beginning of the movie. It doesn't necessarily give you the complete history but enough for this movie at least. As with any Sci-Fi films, what can really add to the enjoyment of the film are the special effects including the props and make ups and costumes. 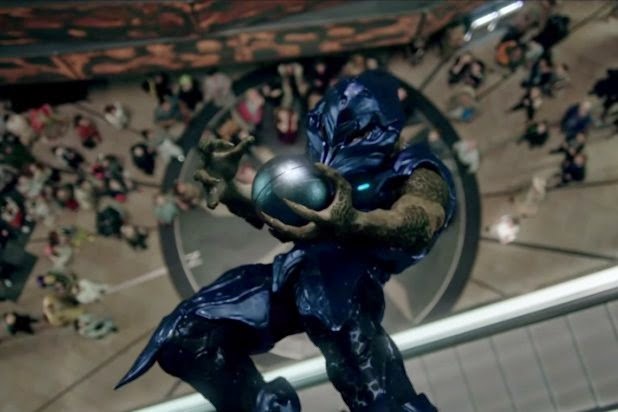 Halo: Nightfall really excels in this aspect from the Zealot (alien) to the flying ships and gear carried by the soldiers. 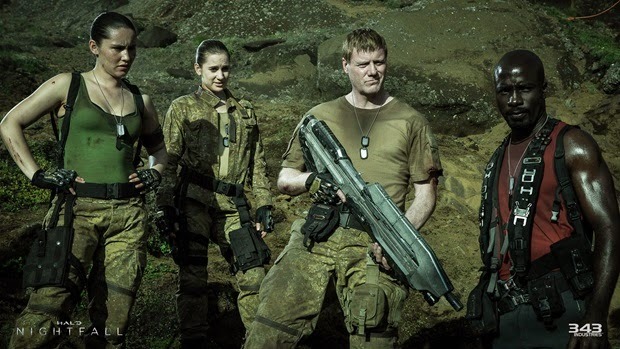 I would have loved to see more of the Covenant and it is strange that there really is no follow up from the beginning of the film. Another strong point for the film are its actors led by future Marvel super hero, Luke Cage, Mike Colter who plays Locke who leads the ONI team. Besides his strong performance I also like Jennie Gruner as Wisner and Alexis Rodney as Arris, despite their limited roles. On the other side of the spectrum, what I didn't like was the uneven pacing of the film. The lack of action at times that lulls you to a comfortable slumber before the residents of Halo Ring world wakes you up. The predictability of who's going to turn on who and who gets the short straw also adds to a lackluster film that has so much potential. Also despite some background information, people new to the Halo franchise like myself can find it confusing at times. Overall, I would recommend the film if you're big on Halo. Though if you are a Halo fan, chances are you have probably seen this already. 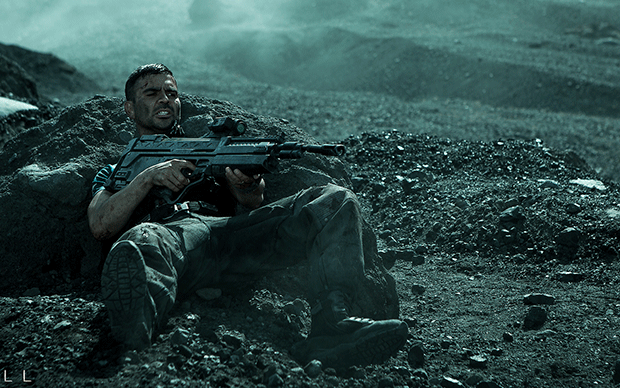 For sci-fi fans, there are better alien environment exploration films out there, more original and well put together. Of course After Earth is not one of them. If there were instead to make this a more Starship Trooper type of movie with the humans against the strangely M.I.A. Covenant, that is something I would buy.